Here are Amy and Noah at this year's Microsoft company picnic. It was HOT. 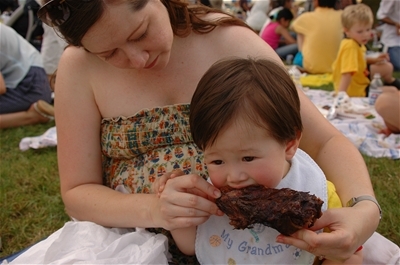 Noah was a good sport, just look at him chowing down on that rib!